The March issue of Ocean Drive magazine (coined “the bible of South Beach”) features our Ombre Chevron glass mosaic. 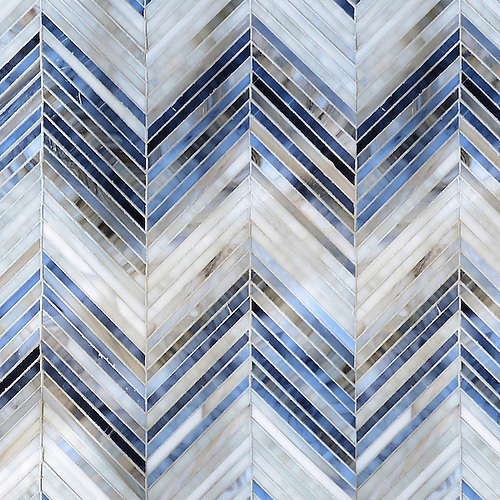 Ombre Chevron, a jewel glass mosaic, shown in Lavastone, Zircon, and Alabaster. For pricing, samples, and design services in Palm Beach and Florida, click here to locate your nearest New Ravenna partner showroom.